As the summer winds down and SummerSlam is starting to come into view, an “advocate” snuck in and stole the show last week. 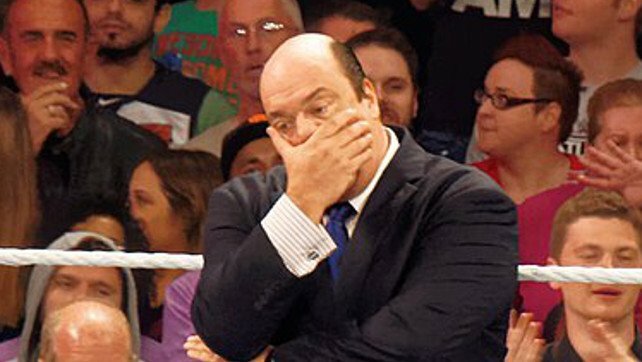 Paul Heyman’s disheveled and emotional interview with Renee Young on RAW was simply Paul E. at his best. His portrayal of Brock Lesnar as caring about nobody and nothing, including his long time manager and friend, sets the stage for The Beast vs. Roman Reigns with a little more of a big fight appeal as opposed to the “here we go again” feel it had a few weeks ago. It, of course, could all be a Heyman swerve, but it is a great setup for Lesnar as he moves toward carrying both the WWE Universal Championship and the UFC Heavyweight Championship on his shoulders at the same time. But, if The Big Dog is not going to beat The Conqueror, it is confusing why they would keep serving up the guy they clearly want to be “The Man” on Monday nights. As main event intrigue grew, Ronda Rousey came in and made her highly anticipated television in-ring debut. In the RAW main event, Rousey looked dominant in handling Alicia Fox as the announce team oddly tried to sell Fox’s long time career as much more than it has been to make her seem like an actual threat to Rowdy Ronda. Things may have moved fast, but Rousey has more than enough talent to handle the role she has been given and could be a champion with little to be upset about coming out of SummerSlam. The largest problem RAW is going to have with Rousey is keeping the rest of the division relevant. Eventually, Sasha Banks and Bayley will end their feud and Nia Jax will come back around and someone will have to step up against the UFC Hall of Famer. As the setup for Reigns and Lesnar continued, The Big Dog had a solid match with Constable Corbin to open the show and then tried to pull double duty by teaming with The Shield brethren Seth Rollins against Dolph Ziggler and Drew McIntyre. I am not really sure where they are going with Ziggler and Rollins at this point. I think their feud has been solid and they will deliver a great performance on the mat at The Biggest Party of the Summer, but where it goes from here is tough to see and the two that main evented a PPV just a month ago appears to be getting lost in the mix.